UN Global Compact Executive Director Lise Kingo welcomes the historic climate agreement adopted by 195 countries in Paris at COP21. 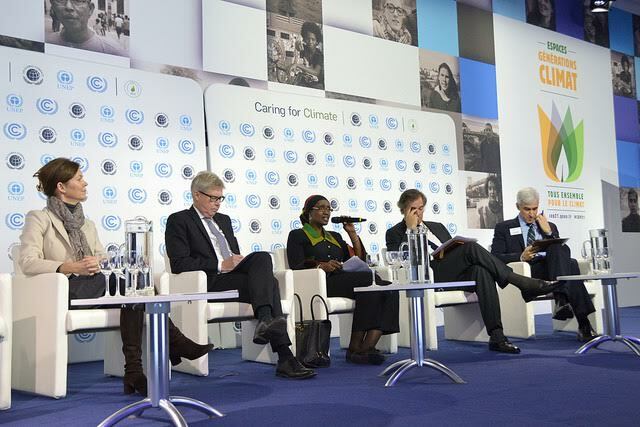 Held over two days, the third annual Caring for Climate Business Forum at COP21/CMP11 will provide a multi-stakeholder platform for dialogue and action among business, investors, civil society, the UN and Government officials. The first day of the Forum will consist of plenary and thematic sessions and feature announcements of new commitments to action. The second day* of the Forum will be a high-level meeting on corporate climate leadership bringing together chief executives, Ministers and heads of civil society and UN organizations. Nearly 700 participants are expected to attend, with the UN Secretary-General participating in key aspects of the event. Click here for information regarding participant criteria. The first day of the Forum will consist of plenary and thematic sessions on the topics of carbon pricing, science-based target setting, responsible policy engagement, adaptation and finance. Sessions will be organized by the UN Global Compact, UNEP and UNEP Finance Initiative, UNFCCC secretariat and in collaboration with Caring for Climate strategic partners, which include Global Compact Network France, CDP, The Climate Group, Principles for Responsible Investment (PRI), United Nations Foundation and World Business Council for Sustainable Development (WBCSD). Participant List for 7 December. Chief Executives of Caring for Climate and UNEP-FI signatories will engage in a high-level meeting together with Government representatives, including representatives of relevant bodies established under the UNFCCC. The high-level meeting will put forward an overview of all commitments and contributions by business and investors towards COP21. Following welcoming remarks, participants will engage in discussions focused on pricing the cost of carbon emissions. The event will conclude with a report-back segment and key recommendations for Government actions that would help bring greater scale and quality to corporate climate leadership globally. The high-level meeting is the focus area business event under the Lima-Paris Action Agenda. Click here for more information on the Lima-Paris Action Agenda. Participant List for 8 December. *Please note that participation in the second day of the Forum will be open to accredited Chief Executives and media upon registration. To request an invitation, please contact forum@caringforclimate.org. Observer seats will be made available on a first-come basis to accredited delegates. 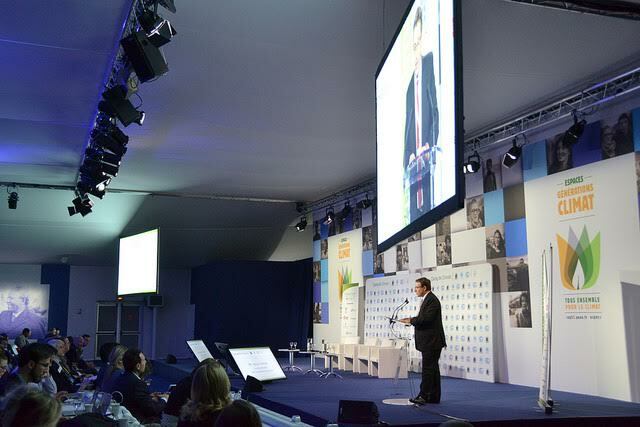 The Caring for Climate Business Forum at COP21/CMP11 will provide a venue for business and other stakeholders to advance the climate change agenda, highlighting commitments around concrete solutions such as carbon pricing, responsible policy engagement, adaptation and science-based targeting setting. Over 700 participants from business, finance, Government, civil society and the UN are expected to attend. 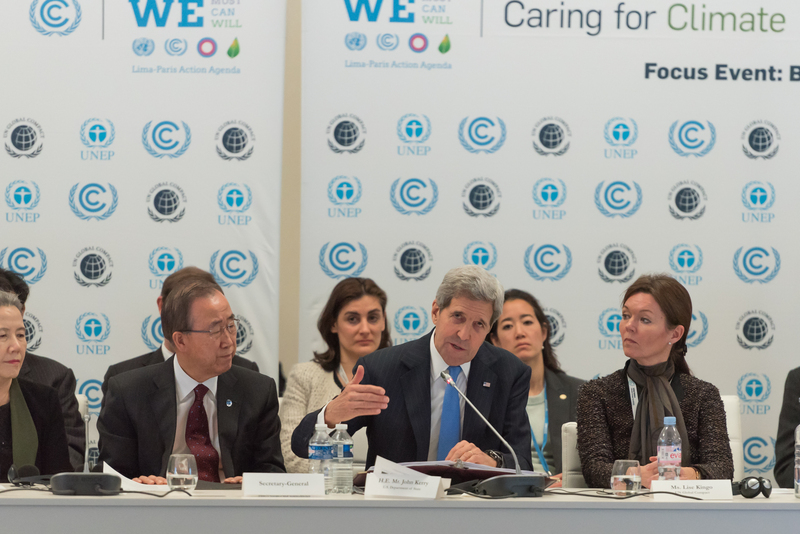 Unless otherwise noted, all sessions of the Caring for Climate Business Forum on 7-8 December will be open to media. Bilateral interview spaces will also be provided for journalists wanting to meet privately with Forum participants. The secretariat of UNFCCC, UNEP and the UN Global Compact will provide assistance in facilitating interview requests by emailing media@unglobalcompact.org. Press and media accreditation for COP21 is now closed. Deadline for accreditation was: Monday, 9 November 2015. Due to the large number of media requests received, we are now only able to accommodate print journalists on a first-come, first-serve basis. We encourage you to arrive early to secure your seat. Those with broadcast equipment can no longer be accommodated in the room. Please contact media@unglobalcompact.org with any questions. Media access to the Caring for Climate Forum will require 1) COP21/CMP11 media accreditation and 2) registration for the event. 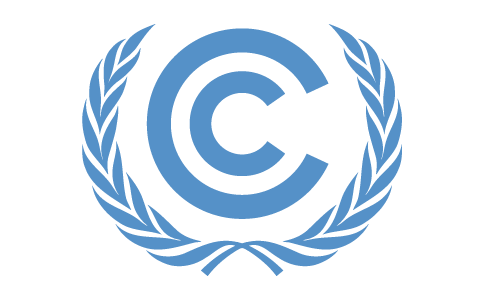 Requests for media accreditation must be submitted through the UNFCCC online media accreditation and registration system. Online accreditation is the official channel to obtain registration for the media for a conference or event. In addition to receiving accreditation, all media must register for the event by emailing the UN Global Compact Office at media@unglobalcompact.org with your name, role and media organization. Please indicate any broadcasting equipment you will bring. Business leaders will gather at the LPAA Focus on Business press conference to announce commitments and highlight announcements around concrete solutions such as carbon pricing, responsible policy engagement, finance and science-based target setting. 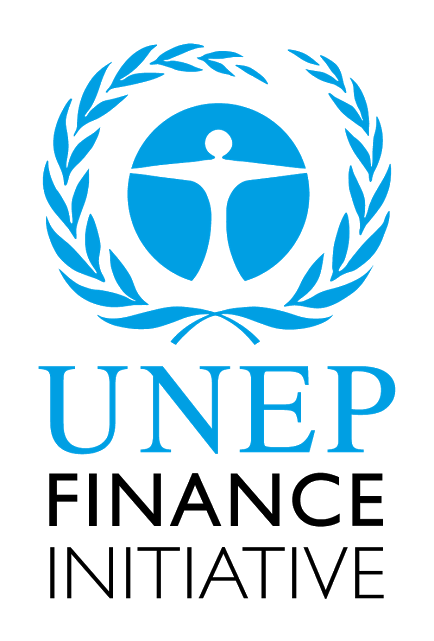 The United Nations Environment Programme (UNEP) is the voice for the environment in the United Nations system. It is an advocate, educator, catalyst and facilitator, promoting the wise use of the planet’s natural assets for sustainable development. The mission of UNEP is to provide leadership and encourage partnership in caring for the environment by inspiring, informing and enabling nations and peoples to improve their quality of life without compromising that of future generations. The Division of Technology, Economics (DTIE) is the division within UNEP responsible for working with business and industry. With its longstanding activities in the areas of green economy, climate change, resource efficiency, harmful substances and hazardous waste, finance and corporate responsibility, it provides solutions to policy makers and helps change the business environment by offering platforms for dialogue and co-operation, innovative policy options, pilot projects and creative market mechanisms. 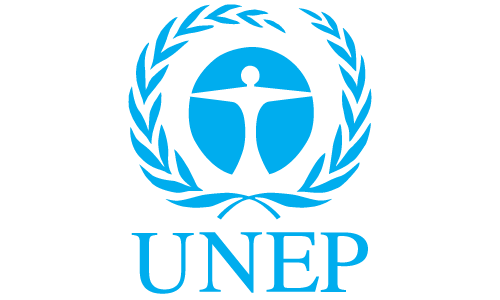 Founded in 1992 in the United Nations Environment Programme Finance Initiative (UNEP FI) was established as a platform associating the United Nations and the financial sector globally. The need for this unique United Nations partnership arose from the growing recognition of the links between finance and Environmental, Social and Governance (ESG) challenges, and the role financial institutions could play for a more sustainable world. UNEP FI is continuously building its membership, and works closely with over 200 members, who have signed the UNEP FI Statement of Commitment. The membership is made up of public and private financial institutions from around the world and is balanced between developed and developing countries. They recognize sustainability as part of a collective responsibility and support approaches to anticipate and prevent potential negative impacts on the environment and society.Banking, insurance and investment, the three main sectors of finance, are represented and brought together in this unique partnership. CDP is an international, not for-profit organization providing the only global system for companies and cities to measure, disclose, manage and share vital environmental information. CDP works with market forces, including 722 institutional investors with assets of US$87 trillion, to motivate companies to disclose their impacts on the environment and natural resources and take action to reduce them. CDP now holds the largest collection globally of primary climate change, water and forest risk commodities information and puts these insights at the heart of strategic business, investment and policy decisions. The Climate Group is an independent, not-for-profit organization working internationally with government and business leaders to advance The Clean Revolution: a massive upscale of smart technologies currently available, design and new business practices that is the only viable way to avert catastrophic change and to ensure that nine billion people on the planet by 2050 will not only subsist – but thrive. Founded in 2004, The Climate Group has operations in Australia, China (Beijing and Hong Kong), Europe, India and North America; this unique network ensures that its messages are being heard by leaders who can effect change. The Climate Group’s global coalition of companies, states, regions and cities around the world recognize the economic and environmental imperatives of taking transformational action on climate change and the low carbon economy now. The Prince of Wales’s Corporate Leaders Group (CLG) is a select group of European business leaders working together under the patronage of His Royal Highness The Prince of Wales to advocate solutions on climate change to policymakers and business peers within the EU and globally. The Group seeks to deliver its goal through bringing European business leaders together to advocate for policy change in relation to climate change and a low carbon transition, drawing on high-level convening, thought leadership, business innovation and new partnerships as required. The CLG is composed of major companies including market leaders and household names that are representative of the majority of EU member states. The University of Cambridge Institute for Sustainability Leadership (CISL) provides the secretariat to the group. The United Nations-supported Principles for Responsible Investment Initiative (PRI) is a network of international investors working together to put the six Principles for Responsible Investment into practice. The Principles were devised by the investment community. They reflect the view that environmental, social and corporate governance (ESG) issues can affect the performance of investment portfolios and therefore must be given appropriate consideration by investors if they are to fulfil their fiduciary (or equivalent) duty. The Principles provide a voluntary framework by which all investors can incorporate ESG issues into their decision-making and ownership practices and so better align their objectives with those of society at large. The PRI has more than 1,260 signatories managing collective assets of more than US$45 trillion. The United Nations Foundation links the UN’s work with others around the world, mobilizing the energy and expertise of business and non-governmental organizations to help the UN tackle issues including climate change, global health, peace and security, women’s empowerment, poverty eradication, energy access, and U.S.-UN relations. The United Nations Foundation is honored to work with you and the United Nations to foster a more peaceful, prosperous and just world. Global Compact France is the French official local network of the UN Global Compact. It is an active business network with the participation of over 950 companies and 100 stakeholders that work together to advance the implementation of CSR strategies. The core mission of Global Compact France is to facilitate the exchange of good practices; provide guidance on the Communication on Progress and the implementation of corporate sustainability; engage participants through events and working groups (thematic conferences, round tables, workshops, high level luncheons, webinars, etc. ); provide guidance materials in French; and build relevant partnerships. IFC, a member of the World Bank Group, is the largest global development institution focused on the private sector in emerging markets. Working with more than 2,000 businesses worldwide, we use our capital, expertise, and influence to create opportunity where it’s needed most. In FY15, our long-term investments in developing countries rose to nearly $18 billion, helping the private sector play an essential role in the global effort to end extreme poverty and boost shared prosperity. Since 2005 IFC has provided about $13 billion in climate-smart long-term financing for renewable power, energy efficiency, sustainable agriculture, green buildings and private sector adaptation to climate change. For more information, visit www.ifc.org/climatebusiness​. doubling the rate of improvement in energy efficiency worldwide. UN Secretary-General Ban Ki-moon and World Bank Group President Jim Yong-Kim co-chair the SE4All initiative which addresses the crucial global challenges of energy poverty while at the same time mitigating climate change. 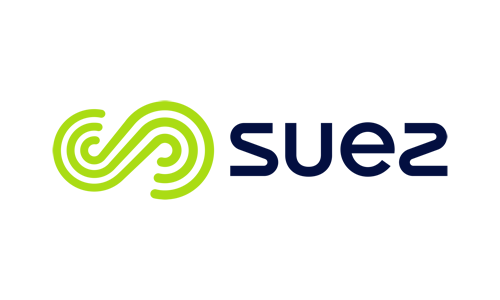 Established in 2009, Global Pulse is an special initiative of the UN Secretary-General, driving a big data revolution for sustainable development and humanitarian action. Its vision is a future in which big data is harnessed safely and responsibly as a public good. To achieve this objective, Global Pulse works to promote awareness of the opportunities data science presents for relief and development, forge public-private data partnerships, generate high-impact analytical tools and approaches through its network of Innovation Labs, and drive adoption of useful solutions across the UN System. More videos can be found in our library.